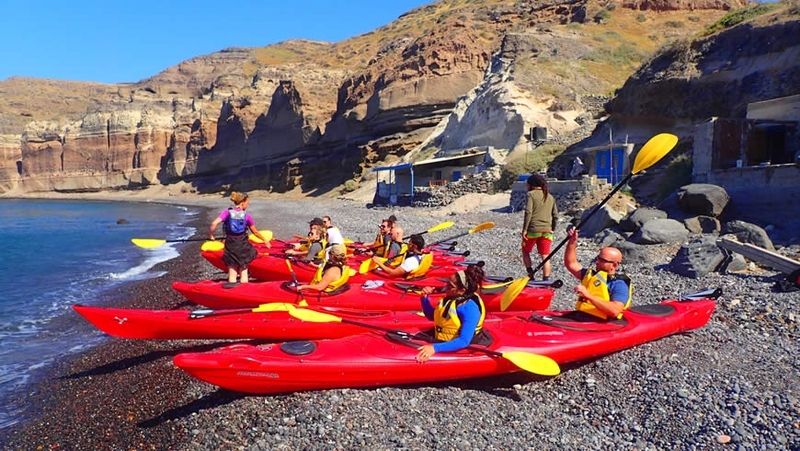 Join a sea kayaking tour and admire Santorini from another point of view. 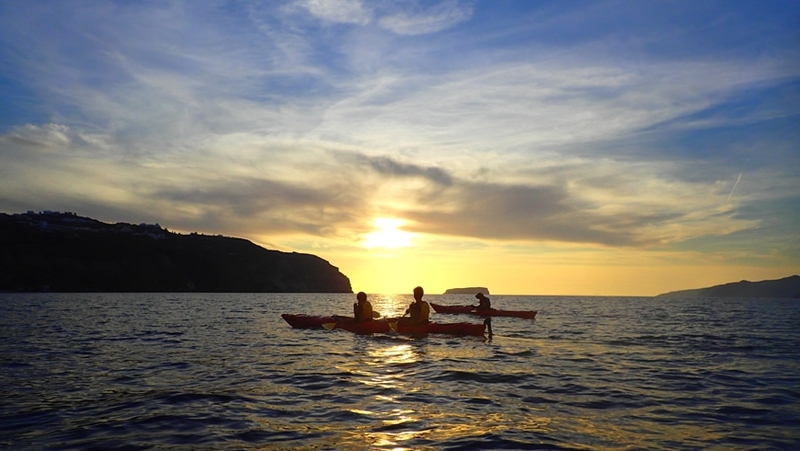 On a half or full day tour, sit comfortably in your kayak, and paddle along the coast line of the island, along with experienced guides. 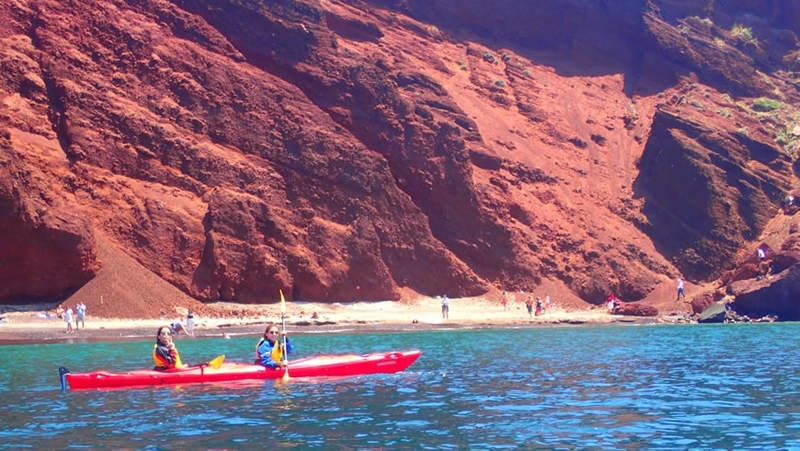 You will pass by steep cliffs, pretty beaches, have a picnic in a cove, swim and snorkel. Experience the splendor and beauty of this volcanic island from sea level and bring back images and experiences that last a lifetime. The maximum number of participants for the tours is 32. For groups larger than 10, please contact us in tours@santorini.net. 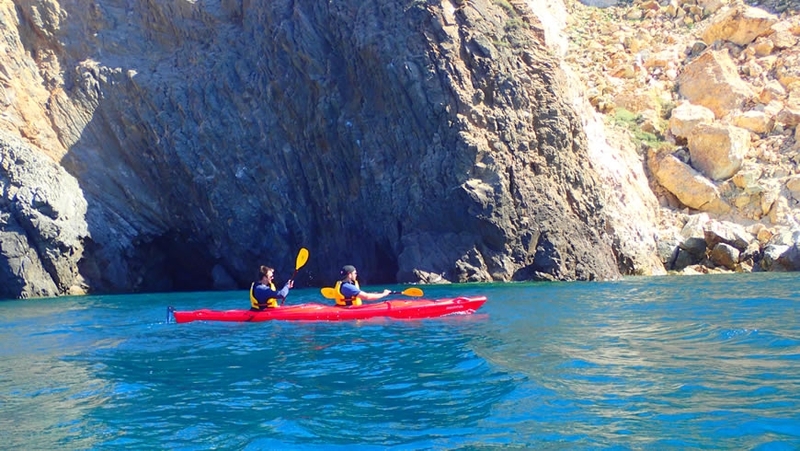 All kayaking tours offered by “Trekking Hellas Cyclades” can be booked securely and safely with our online booking system. Explore the untouched south coast of Santorini! Paddle across unique beaches – red, white and black sanded. Enter magnificent sea caves, swim, snorkel and enjoy a picnic by the sea. End your day with a relaxing meal by the sea at Mesa Pigadia. After the pick up, we drive till Ammoudi (the small port of Oia). Starting from the north coast, pass below Oia, stop at Thirasia for a light lunch, swim in the hot springs of Nea Kameni (commonly referred to as the Volcano of Santorini) and dine at Balos Beach (near Akrotiri). Ready to book? Just fill out our secure form below, giving us three date/time preferences and we will contact you to confirm your booking and give specific pick-up points and times. Please kindly keep in mind that Trekking Hellas Cyclades does not accept credit card payments. When booking, please provide us with your credit/debit card details for security purposes. Your card will only be charged in case of last minute (less than 3 days) cancellation or no-show. Payment of the tour is to be made in cash on the day of the tour.